Cook macaroni according to package directions (al dente). Meanwhile, melt ½ cup of butter in large pan (large enough for all ingredients to be added). Stir flour into melted butter until blended. Gradually add milk until blended. Add hot sauce. Bring to a boil; cook and stir for 2 minutes or until thickened. Stir in cheeses and melt. Remove from heat and stir in Jimmy’s Holy Smoke! Dip. 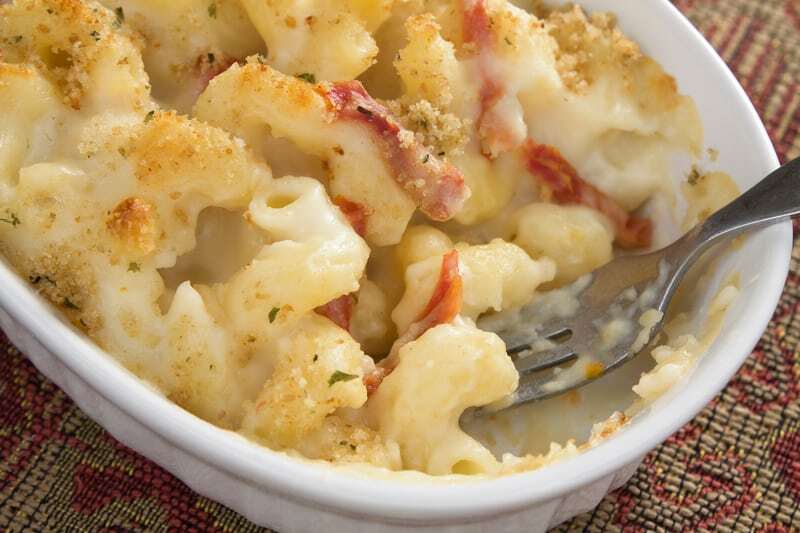 Drain macaroni and stir into cheese mixture. Transfer to a 9” x 13” baking dish. Combine topping ingredients and sprinkle over the top. Bake, uncovered at 350 degrees for 20-25 minutes or until bubbly.